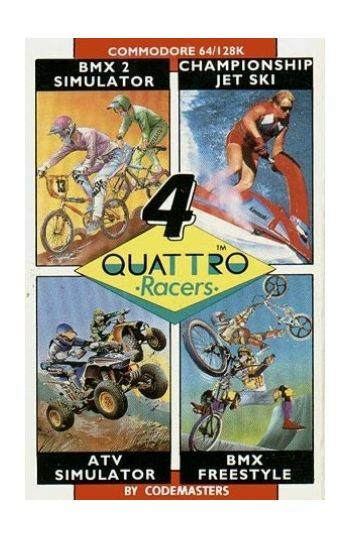 Home/Computers/Commodore 64/128/Commodore 64/128 Games/4 Quattro Racers. 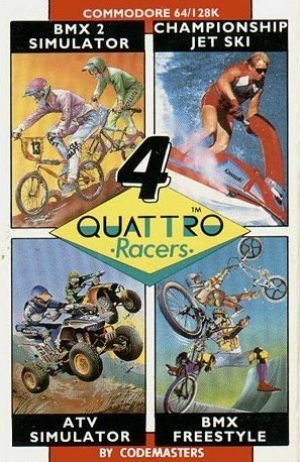 * BMX2 Simulator. * Championship Jet Ski. * ATV Simulator. * BMX Freestyle. Instructions on inlay card.